Disclosure (in accordance with the FTC’s 16 CFR, Part 255: “Guides Concerning the Use of Endorsements and Testimonials in Advertising”): I did receive a free copy of 8 Simple Tools for Raising Great Kids in exchange for this review and post. This post may contain affiliate links. This means if you make a purchase through one of these links, Penguins in Pink will receive a commission at no additional cost to you. I know it’s been said a million times, but parenting is the toughest, most rewarding job on the planet. Sometimes it’s easy to get caught up in the hustle and bustle of each day until you forget to take time to really connect and engage with your children. And if you have preschoolers and toddlers it can be quite challenging! Their little bodies and minds are going a thousand different directions. Today, I’m excited to share with you 35 questions to engage your preschooler or toddler and I’ll also be sharing a little review of the new book 8 Simple Tools for Raising Great Kids. And bonus! There is also a discount code to get 50% off the book! One thing that is really important to me as a parent is listening to my girls’ hearts. I want them to know that they can talk to me about anything. Right now as a preschooler and toddler, they tell me little things, but one day those little things will turn into big things like friendship drama and boys, and I want them to still feel comfortable enough to talk to me about it all. I love having them tell me all about the bugs they dug up in the garden or why they painted the sky bright pink. But sometimes it seems almost impossible to get them to talk to me. Oh sure, they are talking a mile a minute, but they are not sharing what’s on their hearts and minds. I like to periodically have little chat sessions with them so they can share whatever they want with me. Sometimes those sessions take place snuggled in my bed before we begin the day. Sometimes we are in the car driving to the grocery store. Other times it’s while we watch a favorite TV show or read a favorite book. 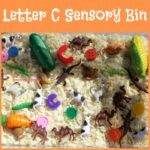 At the bottom of the post you will find a downloadable PDF link with the 35 questions to engage your preschooler or toddler. How did you sleep? If my girls answer good, it’s high fives all around. If they say bad we talk about what we can do to make them feel better like hugs/cuddles, having some quiet time or naps, or going to bed earlier. Did you have any dreams that you would like to tell me about? What is one thing you would like to do today? If you could pick out dinner, what would we have? What is one thing you learned today? I like having Dad ask this since he was not there. They like to give him mini lessons on what they learned. Who is your favorite character in ___ (insert favorite TV show/movie/book) and why do you like ___ (insert character name)? After a character makes a mistake or does something wrong, What do you think ___ (insert character name) should have done differently here? If you were in ___ (insert favorite TV show/movie/book) what would you do first? What was your favorite part about today? (or) What made you happy today? What made you sad today? It’s good to get them talking through their feelings. Is there anyone you wish you could have seen today? If you could go on a trip where would you go? What made you feel loved today? It’s very important that they feel loved everyday! Would you sing me a song? What is your favorite animal? And why do you like ___ (insert animal)? If you could have any animal as a pet, what would you have? If you could have a superpower, what would you have? My girls are very much enamored with the Avengers. In case you are wondering, Cakey would be Jane the Wasp and Doodles would be Ironman or Hawkeye. If your clothes could only be one color, what color would they be? Cakey’s of course always picks pink and Doodles usually picks yellow. Are you afraid of something? What is it and why? What do you like about ___ (insert each family member)? Is there anything you would like to change about our family? The last time I asked this the girls informed me they wanted a brother. What is one thing you would like to do this weekend as a family? How many hugs (or kisses) do you need each day? Do you have any prayer requests? Or who would you like to pray for tonight? The 8 Simple Tools for Raising Great Kids are: Talking, Listening, Influencing, Connecting, Teaching, Encouraging, Correcting and Learning. Each tool is broken down into 5 short chapters. The chapters are only a 3-4 pages long and include both a practical tip and some questions to ponder. They are perfect to read a chapter before bed. Which is perfect for our busy lives! Purchasing your copy of 8 Simple Tools gives you, free access to the HEARTS AT HOME “ESSENTIAL WORKSHOP COLLECTION FOR PARENTS” with every purchase. You can find more information here and find the form to fill out to request your freebies! 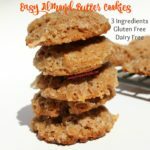 So you are not only getting 50% off with the coupon code GREATKIDS16 at moodypublishers.com, but you also get access to a slew of freebies! The discount code is only valid at Moody Publishers and is only active from today, April 15th through May 15th 2016. After May 15th the code will no longer be valid. So you better hurry! Update 5/16/2016: Moody Publishers was offering a discount code for 50% off 8 Simple Tools for Raising Great Kids that expired on May 15th. I have updated this post to reflect that change. The book is still available on Moody Publishers or here on Amazon. I have already begun implementing some of the main ideas in the Talking and Listening chapters. And I have to say that I’ve noticed differences in the girls and my interactions compared to how they normally were. Not that my girls are listening immediately, but they’ve improved and so have I. As a wife and mother, I believe it is essential for me to continue growing and learning how to be a better wife, mother, friend, and person. 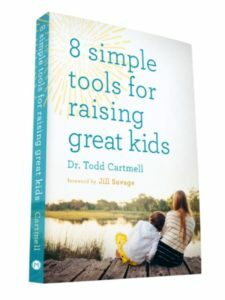 While 8 Simple Tools for Raising Great Kids is a parenting book I have found that some of the tips are important to be implemented in other areas of my life as well. 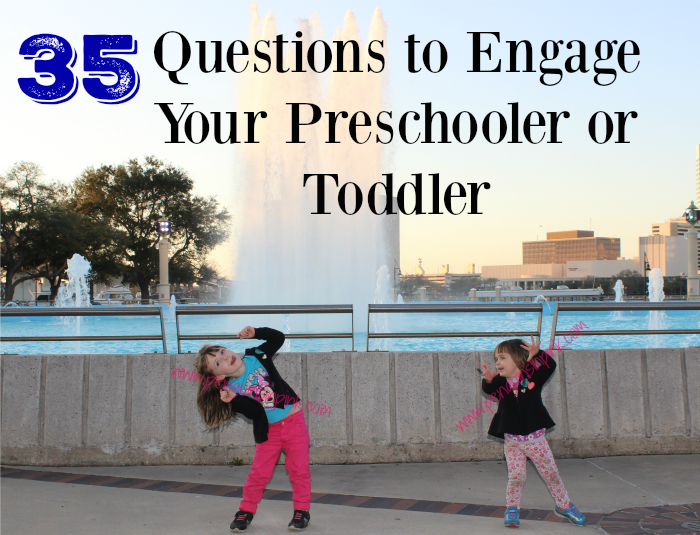 I hope these 35 questions to engage your preschooler or toddler help give you a start on some great conversations with your kiddos. Just remember, you are asking them questions to listen to their hearts. So let them talk and only ask questions to follow up and keep them talking. You can download the 35 questions to engage your preschooler or toddler here via Dropbox. This post may contain referral links. Please read my disclosure policy here. grt ideas keep on posting.. This is a great list of questions. Oddly, getting my 4 year old is just as hard as getting my 14 year old to respond with anything other than “nothing” when quizzed about their days. Maybe my approach is just all wrong – I’ll definitely be trying a couple of these. Thank you so much, Anna! It means so much to me! This should be a mandatory parenting read! Such insightful and genuine information. I will definitely be purchasing this book soon. I hope you gain as much from the book as I have, Michelle. I totally agree everything that you have said on this post. Spending time with your kids and open communication are the best tools to build a good relationship. When they grow up those memories that you’ve shared on them will be there forever. I am not a mother yet hopefully soon but this book really caught my interest and I know soon I may need this. Thank you, Chelsea. I know that by spending time with them now I will be creating bridges that will last a lifetime. Just like my mom did! These are awesome questions to ask your little to to get them talking and to get to sharing what they have been through. I believe it also helps develop speaking skills and helps with them express who they are. Very true, Dee. Those skills will be so important as they grow up. This is such a great post! So many awesome ideas for things you can ask to generate a dialogue between you and your child. It not only helps you to bond and get to know your child – it is also a way to help them learn to answer questions and practice their vocabulary – both of which are important life skills. So true, Tiffany! By chatting with them you are not only getting to know their hearts but also helping them practice and strengthen their vocabulary and learn to answer questions. So maybe THIS is THE MANUAL of how to raise kids? 😉 hahaha Sounds like a great book. It is a good one, Brianna! What a helpful post for so many. I love that you choose to engage your children. What a blessing it is that they have you! Jane the Wasp, haha! That choice of Superhero cracks me up. 🙂 Super cute questions — such a great list! Opening up those lines of communication now when they’re small is so integral to building that foundation for their teen years when they don’t want to talk to you quiet as much. I love these questions to get them to open up and talk. I need to read that book! It really is. Letting your kids know you will listen when they are little progresses to them wanting to talk to you as they get older. This is an interesting book and those are great questions to ask your preschooler. I think it is important that we engage them in conversations like this. This will help them remember what they learned. Yes, engaging them will help them retain what they are learning. 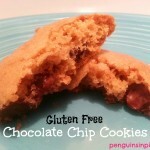 These are great for dinner time conversations too! Yes! They would be perfect for that too! Absolutely beautiful. This should be a book they hand out to new parents at every hospital. If we start young, they’re more receptive (or is that just my kids?). Adding this to my reading list. It’s true! The younger we start doing things like this with our kids the more common and comfortable they feel doing it. Thanks for commenting, Jacqui. This is so great! I love collecting relationship-building things like this for our someday children! I hope they bless you someday in connecting with your kids, Faith. These are great questions. I went to school to be a teacher and I can’t tell anyone enough the importance of open ended questions. Some kids just don’t know how to answer them. It is absolutely necessary for Istep testing and just a great skill for kids to have. Thanks for sharing. Thank you so much, Ashley! Anything to get and keep them thinking, right? Open ended questions are a favorite of our family. Great ways to get past the “was fine” part of the day too. Engaging them will help them to remember what they learned. Very true, Marie. I’m hoping by engaging them now, when they are older we don’t have the “was fine” comments because they will be so used to telling us everything. These would be great questions for me to use with my students, as well. Thanks for sharing! Those are really great ideas! That first one, asking how they slept, I always ask my kids when they get up. It’s kind of how we start the day and get any good or bad feelings out and start the day fresh. I also encourage, though it has it’s downfalls occasionally, to come to us if they have a nightmare during the night. I’d rather them talk about and feel better right away than staying awake all night and having fears fester. That’s a great tip, Jessyca. My girls luckily have not had any nightmares but this is something to consider doing if they start having them. I love these questions. My parenting mentor told me to get them talking when they are young and when they are teens it will be a given. Both my daughters are married and they still love to tell me about their day. I’ll share this book with others. It’s true. Once talking with their parents about the little things becomes natural so will talking about the big things. Thanks so much for commenting, Pamela. 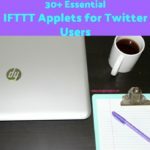 Sweet post, some great ideas! It’s so important to make sure they are getting the time and attention they need. Yes, it is very important, Kay. As a grandmother, I always enjoy quizzing my grandchildren and hearing what they are thinking and how their day went. They are all well passed the toddler stage but I still ask questions and enjoy the conversation even more now. Absolutely, Shirley! We should be trying to engage them regardless of their age!